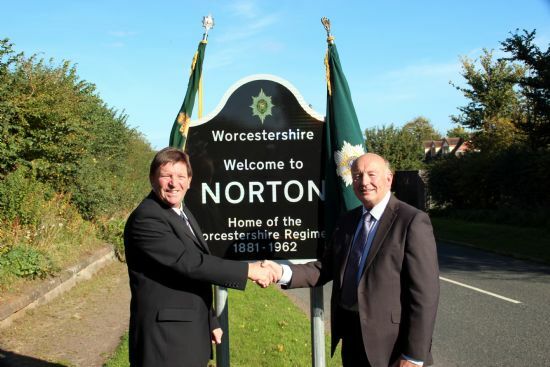 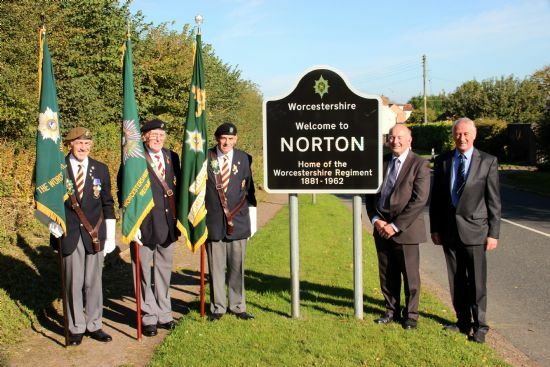 Today was a photo opportunity for the Branch Standards and the persons responsible for the installation of the new Norton road signs to have thier photograph taken. 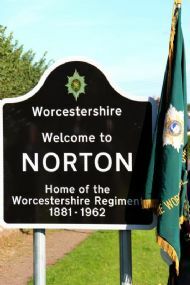 Everybody met at the Retreat pub and walked the short distance to one of the signs. 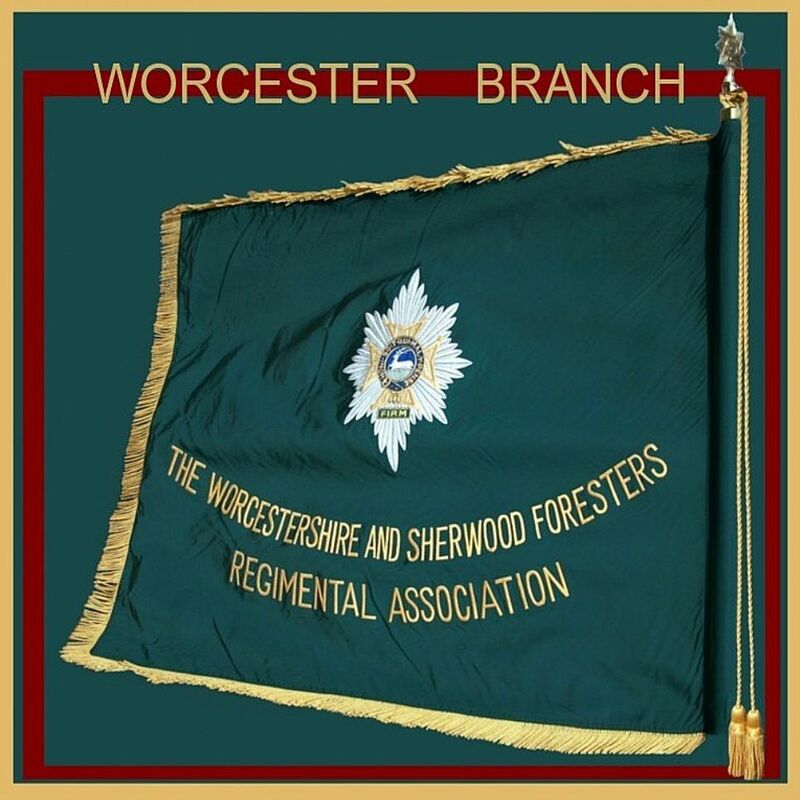 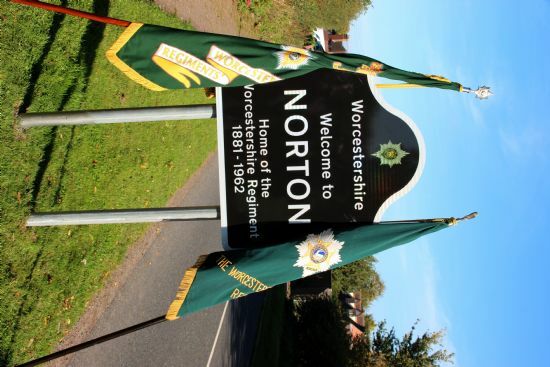 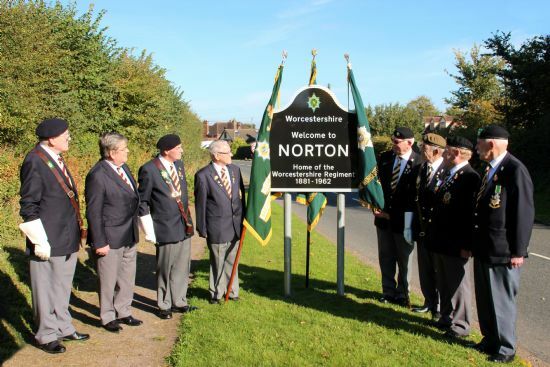 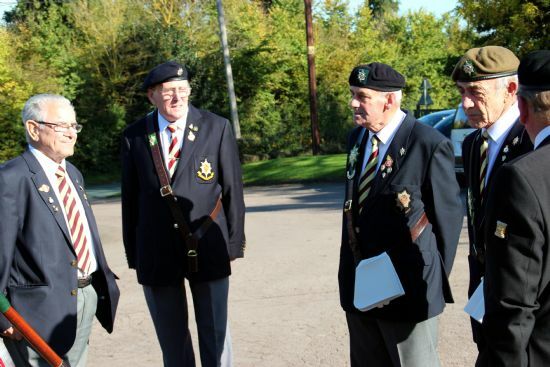 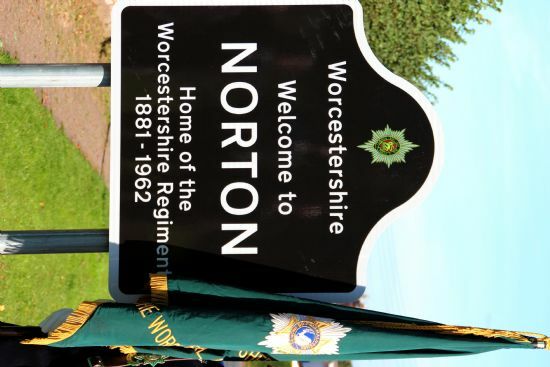 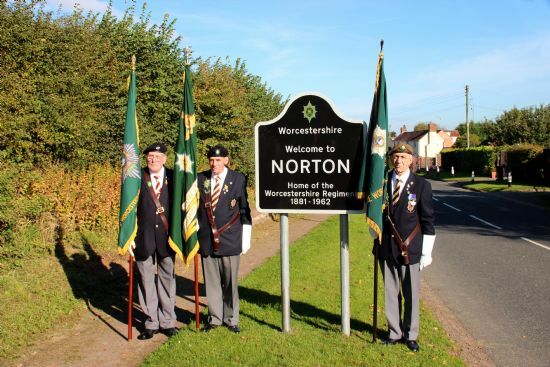 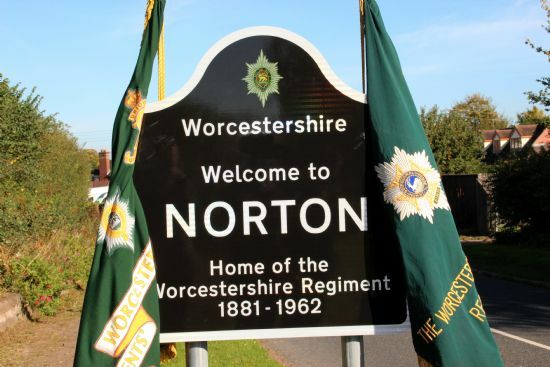 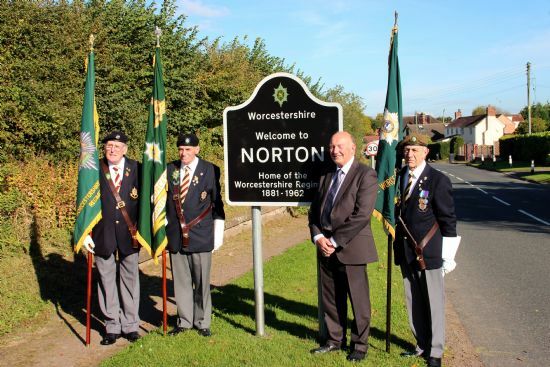 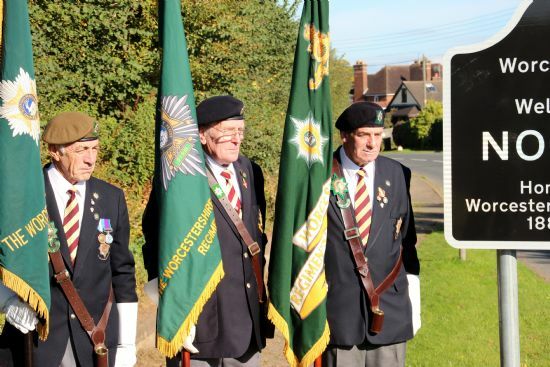 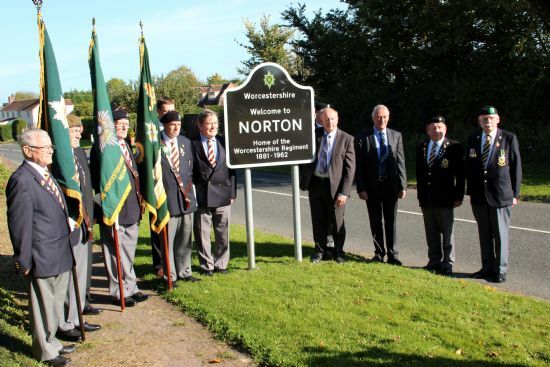 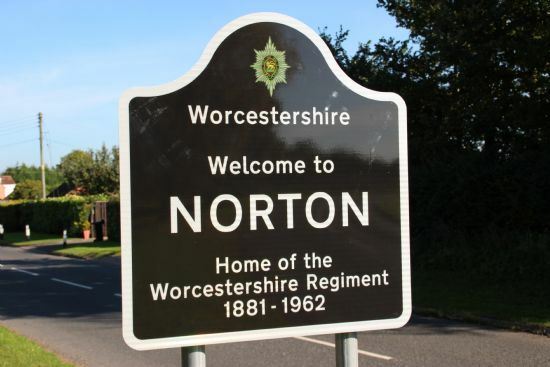 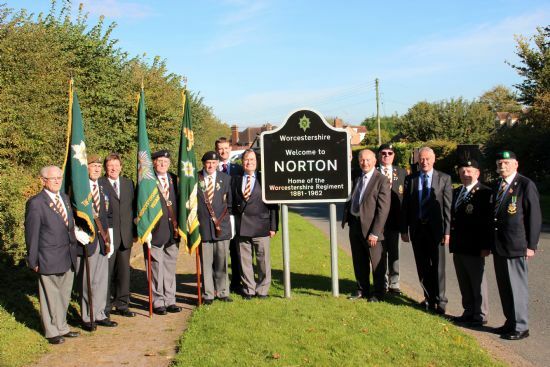 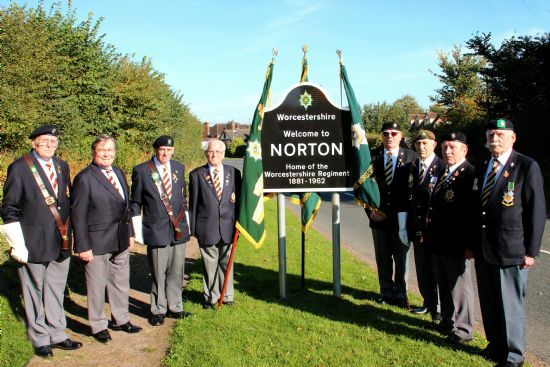 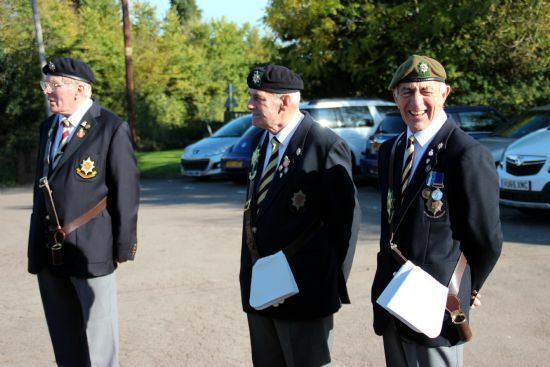 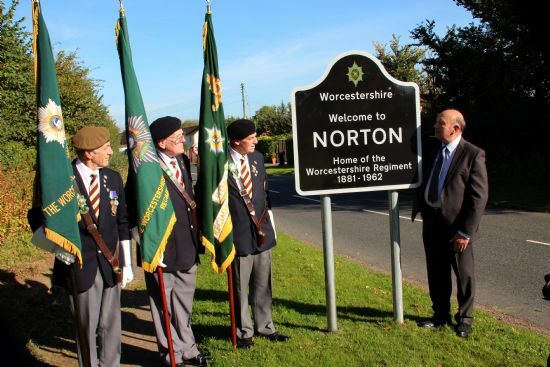 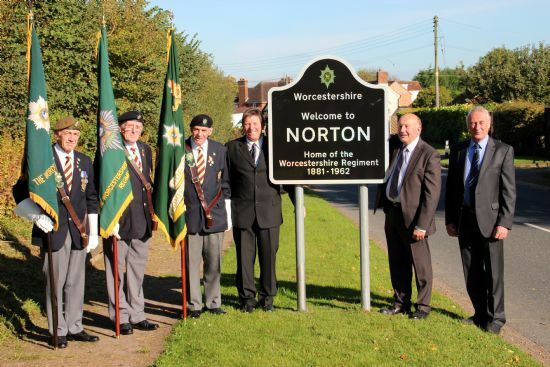 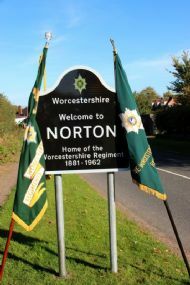 The idea for the signs came from Dennis Hodgkins of the Norton Worcestershire Regiment Group and they were designed by Ed Dursley of the County Council.